← Study at University in Acocks Green! Local music-lovers took the opportunity to attend the October Swansong concert at Acocks Green Library, on Wednesday 12th at 7.30pm. 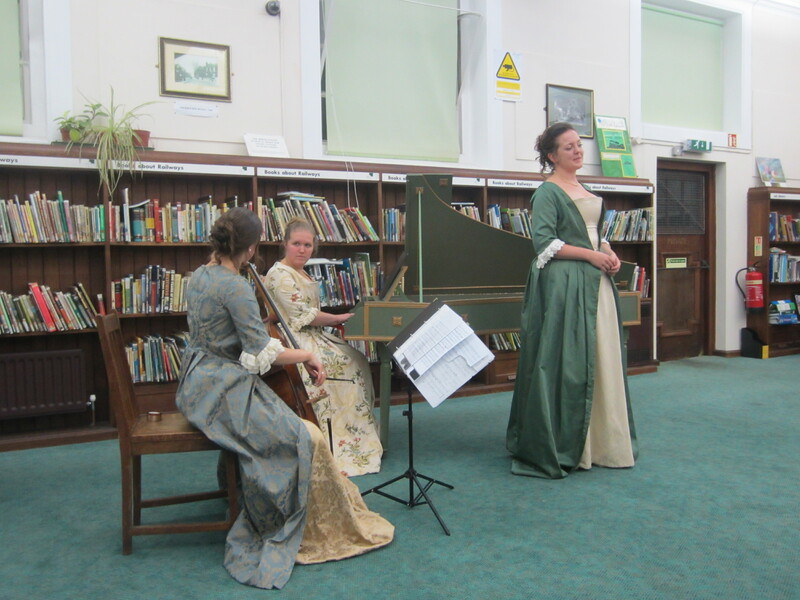 The concert was attended by approximately 50 folk to enjoy a performance by The Linnaeus Baroque Ensemble, which featured Linnea Markgren, soprano, Lucia Capellaro, baroque cello, and Sara Wilander, harpsichord, all dressed in contemporary costumes. With two members of the trio originating from Sweden, the excellent performance of the Baroque period included works by the Swedish composers H.P. Johnson, W.De Fesch and J.H.Roman, as well as the English compositions by G.F. Handel and H.Purcell. The professional rendition by both harpsichord and cello, was superbly complimented by the exquisite singing, in Swedish, Italian and English, all word perfect with no reliance on the musical score or song sheet. This performance appeared to have been enjoyed equally by the audience and performers and, with a delightful encore, we look forward to their return visit. This entry was posted in Events, News and tagged Acocks Green, Acocks Green Library, baroque cello, Baroque music, harpsichord, Linnea Markgren, Lucia Capellaro, musical evening, Sara Wilander, Swansong, The Linnaeus Baroque Ensemble. Bookmark the permalink.